Apart from contending for album title of the year, the return of The Boys will be greeted with much enthusiasm by those who’ve honoured their memory over the years with cult-like zeal. The band were formed in 1975 by former Hollywood Brats singer-keyboardist Casino Steel and singer-guitarist Matt Dangerfield (from Mick Jones and Tony James’ London SS), along with guitarist Honest John Plain. Signing with NEMS in January 1977, they were the first punk band with an album deal, but although their contagious hooks, multi-tiered harmonies and strident guitar riffs made them more palatable as ‘The Beatles of punk’, the label delayed their self-titled album and fumbled the follow-up, Alternative Chartbusters. 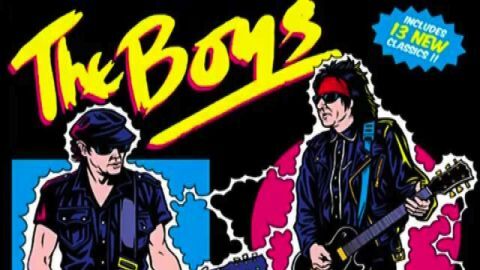 After moving to another label, The Boys disbanded after 1981’s Boys Only. The three core members have reunited for a 13-song set of short, sharp, leather-trouser rousers, titles such as Punk Rock Girl and Global Warming reviving their Ramones-Heartbreakers-derived power-pop with amped-up moptop harmonies and modern studio sheen, but with enough punky poke to keep those old fans happy.